When you choose Guttering Repairs Ltd for your guttering, roofing and scaffolding requirements you know you are in safe hands, we offer a 100% free service allowing you to choose the best roofer, guttering specialist and scaffolding company in your area. We offer customers a quick and easy way to get their roof and guttering repaired. For all your gutter clean and repair needs throughout the UK contact Gutter Repairs Ltd today for a free no obligation quote. Pleased great service. Nicola was v helpful rang me back & had someone local come out to me within an hour. Tony’s quote was reasonably priced and did a good job. Thank you. Recommended. A friendly and efficient service. Quotes received beforehand and work undertaken explained. Nicola was our first point of contact and she was very helpful. Sean responded quickly and visited us to carry out a survey of our gutters before quoting. The job was carried out very professionally and he was polite and offered further advice. I would definitely recommend Sean, his service is first class. 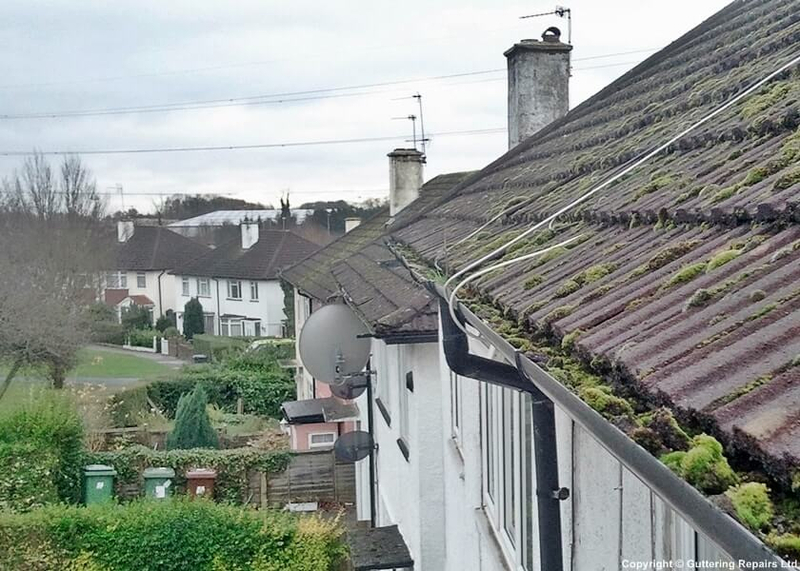 Sean responded quickly and visited us to carry out a survey of our gutters before quoting. He gave us an accurate assessment of work required and arranged a date soon afterwards. During the work a further issue was noted which Sean gave good advice on and a very reasonable quote. Highly recommended! Sean was courteous, helpful & done an excellent job on the guttering . He was trustworthy & there was no extras added on as with some tradesmen , no pushy sales tactics. The work is guaranteed. Nicola was excellent at communicating & arranging for the works to be done . Sean is highly recommended . Thank you. After an honest appraisal of the task and some sound advice, the work was delivered quickly, efficiently and to a high standard. I would use this tradesman again and have no hesitation in recommending him to others that require guttering work done. The job was booked quickly and efficiently, directly with the householder. Works carried out to a high standard. 5 year guarantee for major jobs much appreciated. Sean was helpful and polite when he visited for an estimate and I plan to use Guttering Repairs Ltd. for future works. Gutters replaced and fascia boards painted. Terrible weather caused Sean to cancel twice, Nicola was very polite and helpful re rescheduling. Quick response to initial enquiry, advice given and quote was delivered promptly. Sean arrived when he said and was courteous throughout. Tidying up was exemplary and any moved items were replaced. All rubbish removed from site. After care offered which I will take up. Very pleased and would highly recommend. Rain you don't scare me anymore. My first point of contact was Nicola who was extremely helpful in arranging an early morning appointment to suit my morning school drop off. Sean was always on time for the appointments and explained exactly what was required to fix the gutters. On the day of the actual job, Sean and his assistant were extremely efficient, very polite and friendly!! I was impressed how quick the job was completed and everything was cleared and loaded into the van!! Very professional team!! It shows that there still are some good and honest tradesmen around. Thank you Guttering Repairs. I would highly recommend them. GR Ltd offer a great service. Very prompt quotes and Sean did a good job. The price was good value and he did a good job with no messing about. I would be very happy to use this company again.